Treat yourself to a Lambretta Cesare 32 watch and bracelet set. Modern reinterpretation of a classic 50s design. 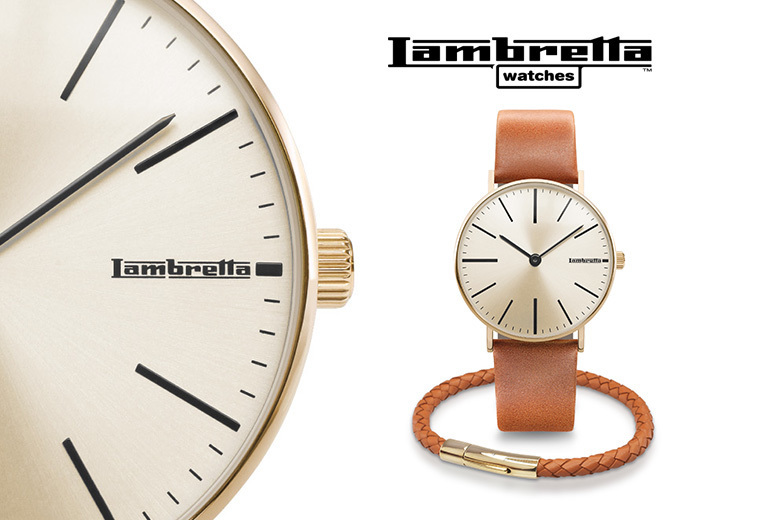 Gold and cognac brown-colour strap with stainless steel clasps.